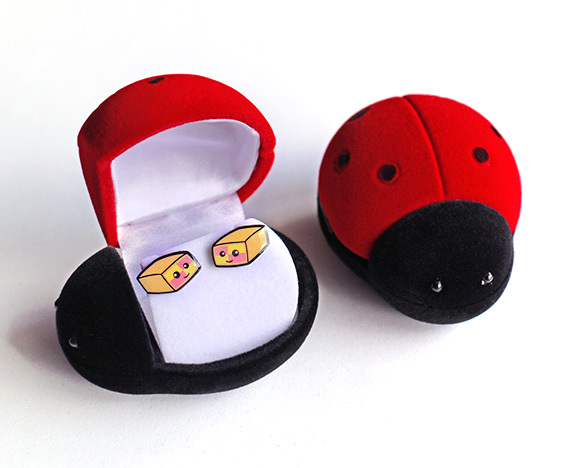 Battenberg cake earrings in a cute ladybird box. Battenberg is the classic kitsch British cake, with chequered pink and yellow squares. And they have super cute tiny faces! Perfect accessories to complete your cute outfit. 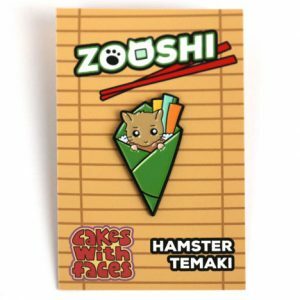 Wear to work or school for a touch of kawaii every day. 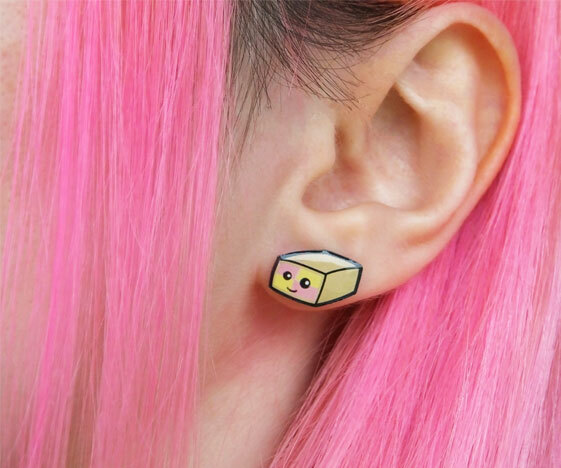 – Classic battenberg cake earrings. – Cute pastel colours and kawaii faces. 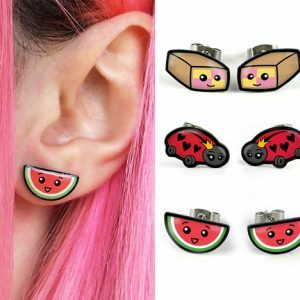 – High quality metal enamel stud earrings. – Ladybird gift box included. 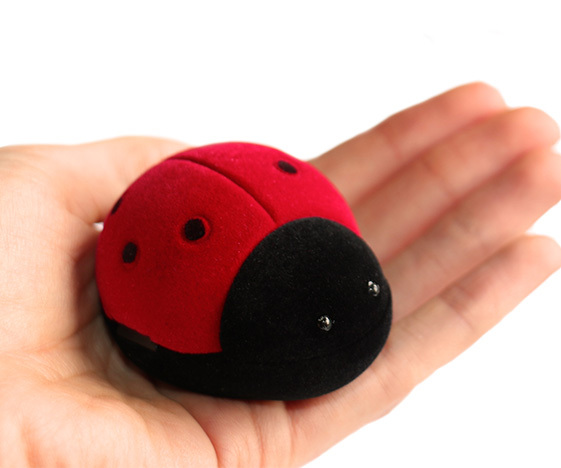 Cute red and black ladybird earring box, with soft and fuzzy flock finish. 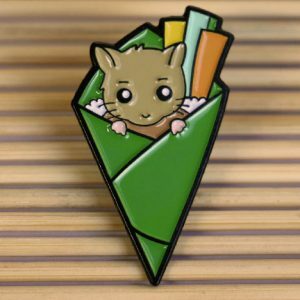 A perfect gift – or treat for yourself! The box is really cute, and perfect for keeping your earrings safe. Earrings approx. 14mm wide (see photo for scale). Ladybird gift box 6cm long. 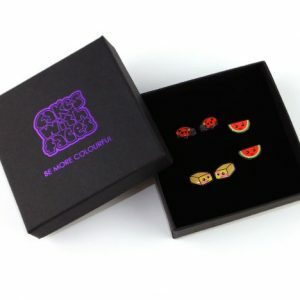 Also available in a gift set of three pairs, which also includes our watermelon and ladybird earrings.